Ronald O’Rourke, Coordinator; Jane A. Leggett; Laura B. Comay; Jonathan L. Ramseur; Peter Folger; Pervaze A. Sheikh; John Frittelli; Harold F. Upton; and Marc Humphries, Changes in the Arctic: Background and Issues for Congress, R41153 (Washington, DC: Congressional Research Service, 7 February 2019). Record low extents of Arctic sea ice over the past decade have focused scientific and policy attention on links to global climate change and projected ice-free seasons in the Arctic within decades. These changes have potential consequences for weather in the United States, access to mineral and biological resources in the Arctic, the economies and cultures of peoples in the region, and national security. The five Arctic coastal states—the United States, Canada, Russia, Norway, and Denmark (of which Greenland is a territory)—have made or are in the process of preparing submissions to the Commission on the Limits of the Continental Shelf regarding the outer limits of their extended continental shelves. The Russian submission includes the underwater Lomonosov Ridge, a feature that spans a considerable distance across the center of the Arctic Ocean. The diminishment of Arctic ice could lead in coming years to increased commercial shipping on two trans-Arctic sea routes—the Northern Sea Route close to Russia, and the Northwest Passage—though the rate of increase in the use of these routes might not be as great as sometimes anticipated in press accounts. International guidelines for ships operating in Arctic waters have been recently updated. Changes to the Arctic brought about by warming temperatures will likely allow more exploration for oil, gas, and minerals. Warming that causes permafrost to melt could pose challenges to onshore exploration activities. Increased oil and gas exploration and tourism (cruise ships) in the Arctic increase the risk of pollution in the region. Cleaning up oil spills in ice-covered waters will be more difficult than in other areas, primarily because effective strategies for cleaning up oil spills in ice-covered waters have yet to be developed. Large commercial fisheries exist in the Arctic. The United States is currently meeting with other countries regarding the management of Arctic fish stocks. Changes in the Arctic could affect threatened and endangered species, and could result in migration of fish stocks to new waters. Under the Endangered Species Act, the polar bear was listed as threatened on May 15, 2008. Arctic climate change is also expected to affect the economies, health, and cultures of Arctic indigenous peoples. Two of the Coast Guard’s three polar icebreakers—Polar Star and Polar Sea—have exceeded their intended 30-year service lives, and Polar Sea is not operational. The Coast Guard has initiated a project to build up to three new heavy polar icebreakers. On May 12, 2011, representatives from the member states of the Arctic Council signed an agreement on cooperation on search and rescue in the Arctic. Although there is significant international cooperation on Arctic issues, the Arctic is increasingly being viewed by some observers as a potential emerging security issue. Some of the Arctic coastal states, particularly Russia, have announced an intention or taken actions to enhance their military presences in the high north. U.S. military forces, particularly the Navy and Coast Guard, have begun to pay more attention to the region in their planning and operations. diverge on the fundamental question of who makes international law in the Arctic. 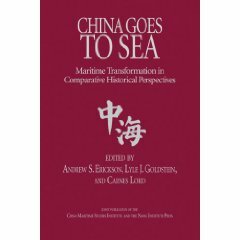 For a long time, admittedly, China wasn’t interested: Way back in 1925, the Nationalist government [of China] signed the critical Spitsbergen Treaty granting non-Arctic nations rights in the northern seas, [said Sun Yun, the Stimson’s Center’s China program director], but his Communist successors didn’t actually realize they’d inherited those rights until 1991, [which was] “a pleasant surprise.” In the ’90s, however, the eight Arctic Council nations—the US, Canada, Iceland, Finland, Russia, Sweden, Norway, and Denmark, which owns Greenland—set up a system of governance that largely sidelined other states. 13 countries do rate observer status on the Council, including China as of 2013 (even stranger bedfellows include Italy, India, and Singapore). But the eight voting members are generally not keen on diluting their control. … China’s interest in the Arctic extends beyond the purely economic: it is also pressing for a greater role in its governance. Compared to the Antarctic—where governance is heavily institutionalized, governance of the Arctic is much less developed, largely due to their distinctly different natures…. The legal framework [for the Arctic] is a patchwork affair, drawn from various treaties of global application (including the UN Charter and the UN Convention on the Law of the Sea), the Svalbard Treaty (recognizing Norway’s sovereignty over the eponymous Arctic archipelago), as well as customary international law and general principles of law. So far, the Arctic Council has been the forum for the conclusion of only three legally binding agreements. China sees a gap for new ideas, rules and participants in this space. 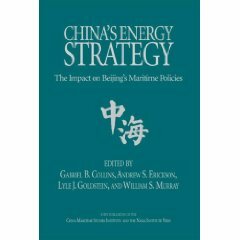 A white paper released by the government in January  contains sophisticated and detailed analysis of the international legal framework applicable to the Arctic and demonstrates China’s increasing knowledge and capability in this area, as reflected in the growing number of Chinese international lawyers specializing in Arctic matters. The white paper seeks to justify China’s involvement in Arctic affairs as a ‘near Arctic state’, noting that the Arctic’s climate, environment and ecology are of concern for all states. 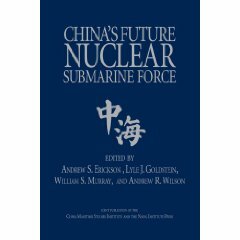 The white paper uses familiar phrases from China’s vision for its foreign policy— such as the ‘shared future of mankind’ and ‘mutual benefit’—to argue for a pluralist (i.e. global, regional and bilateral) approach to Arctic governance…. … As an observer state, China has very limited rights in the council, but has been creatively using other routes to influence Arctic governance, including active engagement within the International Maritime Organization (IMO) and the International Seabed Commission. China participated in the formation of the IMO’s Polar Code of January 2017, which sets out rules for ships operating in polar waters. China was also one of ten states involved in the recent adoption of the Agreement to Prevent Unregulated High Seas Fisheries in the Central Arctic Ocean, which took place outside the umbrella of the Arctic Council. At a recent roundtable in Beijing co-hosted by Chatham House, Chinese experts noted China’s aspirations to develop the international rule of law in the Arctic through playing an active role in developing new rules in areas currently under (or un-) regulated, for example, through a treaty to strengthen environmental protection in the region. It was also suggested that China may also seek to clarify the meaning of existing rules through its own practice. China also has ambitions to contribute to the research of the Arctic Council’s Working Groups, which develop proposals for Arctic Council projects and rules. It remains to be seen to what extent Arctic states, protective of theirown national interests in an increasingly fertile area, will cede space for China to participate. China’s push to be a rule shaper in the Arctic fits into a wider pattern of China seeking a more influential role in matters of global governance. This trend is particularly apparent in areas where the rules are still emerging and thus where China feels more confident than in areas traditionally dominated by Western powers. 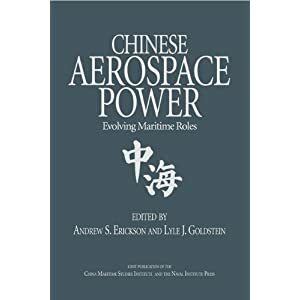 A similar assertiveness by China is increasingly visible in other emerging areas of international law, such as the international legal framework applicable to cyber operations and international dispute settlement mechanisms relating to trade and investment. China has become a “rule maker” in the global governance of the Arctic, a blue paper said Thursday, calling on the country to “stay calm” and respond with action in the face of the hyped-up “China threat” theory. Jointly released by Beijing-based Social Sciences Academic Press and Qingdao-based Ocean University of China on Thursday, the blue paper said China’s role in promoting global governance in the region cannot be ignored. In terms of global governance of the Arctic, China’s role has shifted from a “rule follower” to a “rule maker,” said the blue paper. China has led the governance philosophy and is taking the initiative in shaping the global governance agenda in the Arctic, it stressed. China is a “near-Arctic country” geographically. The natural conditions and changes in the Arctic have a direct impact on China’ s climate system and ecological environment, which in turn affects China’s economic interests in the fields of agriculture, forestry, fisheries and oceans, the blue paper said. Arctic countries also have concerns, of which China is aware, said the blue paper, stressing that maintaining regional security and promoting world peace has been the basic rule of China’s diplomatic policies. The associate editor of the blue paper, Dong Yue, who is the deputy head of the Law School of Ocean University of China, told the Global Times on Thursday that the paper’s call for China to “stay calm” means China won’t take any “radical” action. The paper said that China holds the principle of respecting the sovereignty of Arctic states, not hurting their basic rights and guaranteeing the decision-making powers of the Arctic Council. China has been an observer member at the council since 2013.
is not the only non-Arctic state to develop an Arctic policy and look for a deeper commitment to the region. Most other observer states to the Arctic Council have an Arctic strategy, a polar strategy, or at least some official guidelines regarding their Arctic policy…. It remains to be seen whether, like China, these non-Arctic nations see themselves as “near Arctic states” that cannot leave the leadership of a strategic region to eight nations only; and whether they might find it advantageous to coalesce as a group of like-minded countries to seek more political and decisional weight both within the Arctic Council and in other international fora. built domestically), to be named Xue Long 2,276 and has announced an intention to eventually build a 30,000-ton nuclear-powered icebreaker,277 which would make China only the second country (along with Russia) to operate a nuclear-powered icebreaker. Like several other nations, China has established a research station in the Svalbard archipelago. China is also interested in mining opportunities in the Arctic seabed and in Greenland.285 Given Greenland’s very small population, China may view Greenland as an entity that China can seek to engage using an approach similar to ones that China has used for engaging with small Pacific and Indian Ocean island states. China may also be interested in Arctic fishing grounds.